The Champs Elysees was first recorded in the Savoy Cocktail Book in 1930. 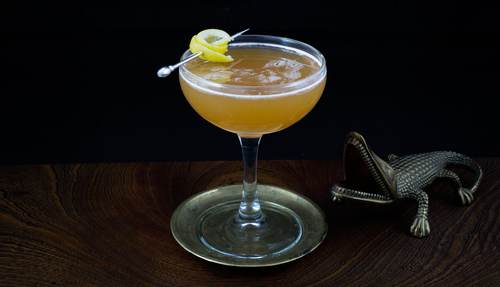 The original recipe was formulated for a party of six, and calls for the somewhat mysterious “sweetened lemon juice” without any assistance on how to make it. 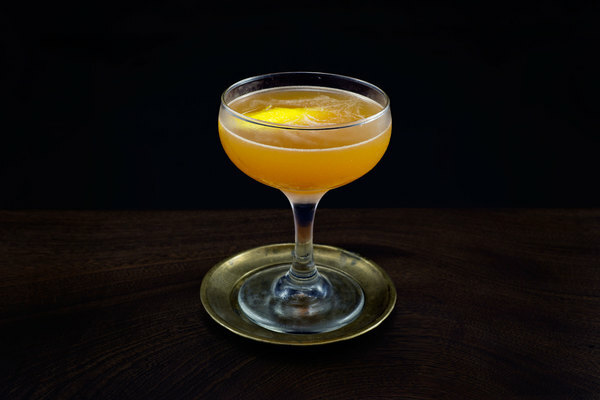 Attempts to scale down the recipe have resulted in a handful of interpretations, documented in various cocktail texts. Whatever your preferred formula, the Champs elegantly pairs Cognac and Chartreuse to deliver a double dose of french ingredients ready to delight any good francophile. Chartreuse is a pale green or yellow liqueur made from brandy and aromatic herbs. The formula allegedly includes 130 herbs, plants, flowers, and secret ingredients, but the exact recipes are known only by the monks responsible for production. The Champs Elysees recipe printed in the Savoy doesn’t specify a type of Chartreuse, but intuition steered us toward the familiar Green Chartreuse. 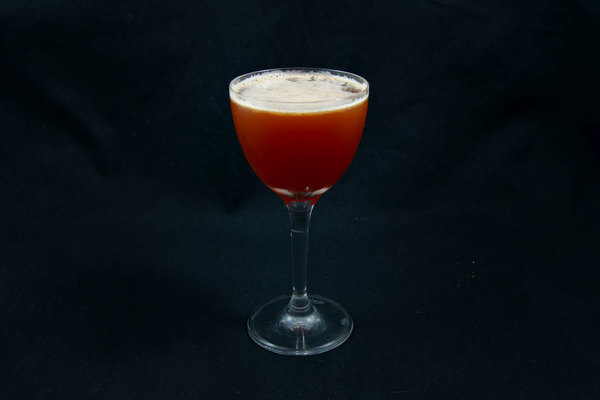 The result was an elegant drink: sweet, citrusy, and herbaceous. Yellow Chartreuse may yield a milder drink with slightly less bite. If you go with yellow, consider reducing the measure of simple syrup just slightly. 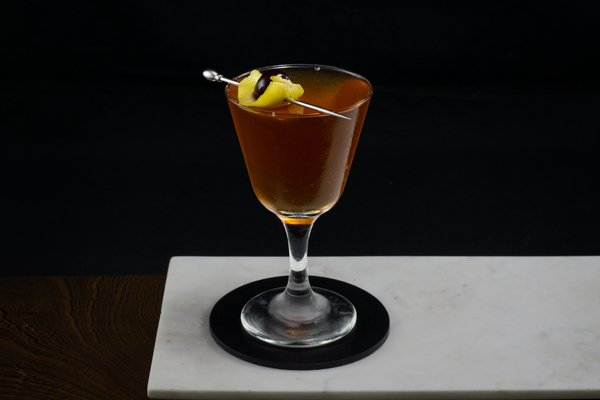 After much experimentation, we landed on a set of proportions that really complement the substantial dose of cognac. Our ratio delivers a citrusy, fruity nose, and tastes light on the tongue with an herbal backbone. Feel free to tinker with the dosage of lemon juice and simple syrup to add sweetness or tartness to taste. The Champs Elysees is sure to appeal to fans of chartreuse, but won’t offend those on the fence.